National Archives of England, 9781903365809, 250pp. 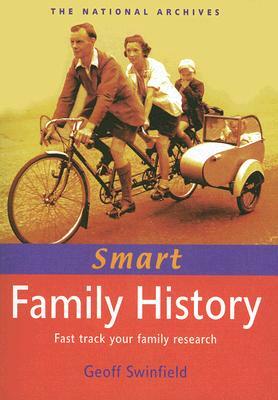 Of all the family history books available, this is the only concise guide to further research. Taking you beyond the usual sources, professional researcher Geoff Swinfield offers a wealth of smart ideas on what to do next, related to each stage of your ancestor's life: indexes and directories, websites, specialist records and more. He also shares his tried and tested strategies for when you're stuck, addressing familiar dilemmas like 'which of these possible candidates is my ancestor?' Every genealogist will find new things to try in this convenient and affordable guide. Dr Geoff Swinfield began his studies in genealogy in 1979 at the Institute of Heraldic and Genealogical Studies (IHGS). Since then he has worked as a professional researcher, and lectures widely on the subject at the Society of Genealogists, IHGS, and London's Birkbeck College. He lives in Kent.